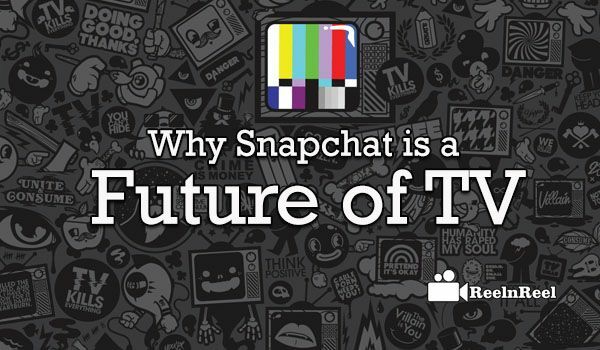 Home » Video Marketing » Why Snapchat is a Future of TV? Snapchat started its journey way back in 2012 as an App used by people for sending disappearing photos. The basic characteristic of the Snapchat is that the photos (on the screen of the receiver) will disappear after a lapse of the time limit set by the sender. These are also known as self-destructing photos. Here are the reasons why Snapchat is a Future of TV. From a platform to share disappearing photos, the concept promoted itself as a platform to share ‘Snapchat Stories’. This new concept co-travelled with social media like Facebook, Twitter, Instagram etc. Snapchat Stories also retained the original concept of ‘disappearing’ as in the case of Snapchat. The increasing popularity of Snapchat is an instant marketing tool for marketers (to promote their products). As per certain initial estimations, the followers of this wonderful concept “Snapchat” crossed 25 million world-over. This staggering figure is naturally an attraction for the marketers to promoters on this channel as well. Television, no doubt, has been an all time darling for the marketers to put their products on show and they are able to observe the result sooner or later. As the increased popularity of SnapChat is indirectly competing TV in terms of viewership, marketers are able to find the potential of this new concept i.e., Snapchat. With the increasing technological advancements, TV can offer many features for its advertisers as well as viewers. SnapChat is no way lesser than TV in offering similar advancements. For this reason, only SnapChat can be placed as a perfect replacement for TV. Moreover, the SnapChat can offer one more feature than TV, i.e., mobility. As the users world-over are more accustomed to the mobile phone, SnapChat is sure to increase its popularity and also become the Future TV within no time.